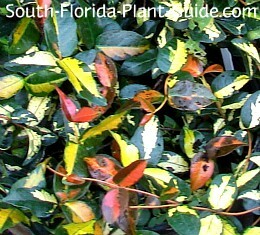 Asiatic jasmine is a classic favorite for South Florida, a superb groundcover that likes both sun and shade. Tough and great-looking when well cared for, this jasmine rarely flowers but forms a blanket of foliage to set off large plants. These plants do require routine maintenance - keeping the planting area edged and snipping off an occasional wayward shoot that tries to climb. But other than that, this is an easy-care groundcover, and makes an excellent turf grass replacement for areas where grass doesn't do well, such as under the shade of tree canopies. 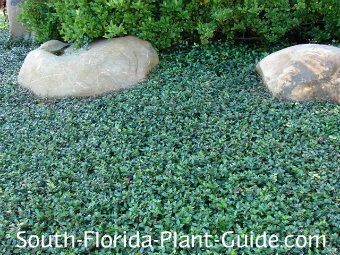 This groundcover can take a while to completely cover an area so you may have to weed in between plants. After Asiatic jasmine is mature, it tends to win the war against weeds. Though it's most commonly used in formal landscaping, Asiatic jasmine adds a touch of class to a casual landscape and looks very elegant in a woodland setting. 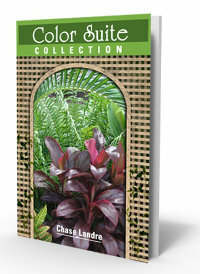 This plant is usually seen with deep green glossy leaves, but variegated varieties are available. 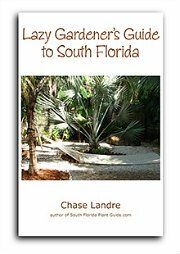 These plants are cold hardy and do well everywhere in South Florida. They're moderate growers that start out somewhat slow and then speed up the growth rate as they become established. 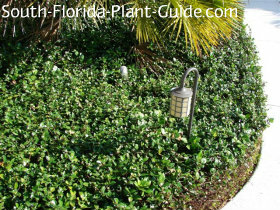 This groundcover takes any kind of light, but seems to do best in part sun to dappled shade. A newer cultivar called 'Summer Sunset' (pictured above) thrives in sun and can turn an all-green landscape into a showplace. Add a mixture of composted cow manure and top soil to the hole when planting. Keep the area edged so the groundcover stays in bounds and grows back over itself to form a thick mat. You can mow over it once a year in early spring (mid March) with the mower blade set high (4 inches). This keeps the height more uniform. 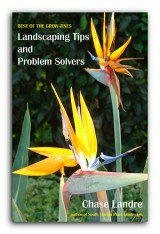 Or use a weedwhacker to trim for a level look, but avoid whacking the tree trunk or base of any plant it surrounds. Water on a regular basis but allow time between waterings for the soil to go dry. Don't plant in a shaded area that stays moist. 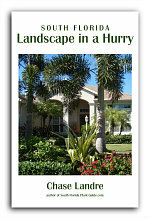 Fertilize 2 times a year - in spring and late summer - with a good controlled release fertilizer. 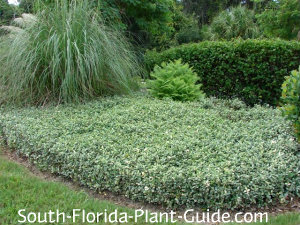 Mass plantings of this jasmine groundcover will give the best effect. Place 4" pots about a foot apart, 1 gallon pots about 18 inches apart. You can grow this plant in a container. COMPANION PLANT SUGGESTIONS: These low growing groundcover plants do their best work surrounding a tree. They can also front a hedge like podocarpus or a foundation plant like Indian hawthorne. Or use them around a specimen plant such as windmill palm, king sago, strawberry guava, or weeping hibiscus tree.